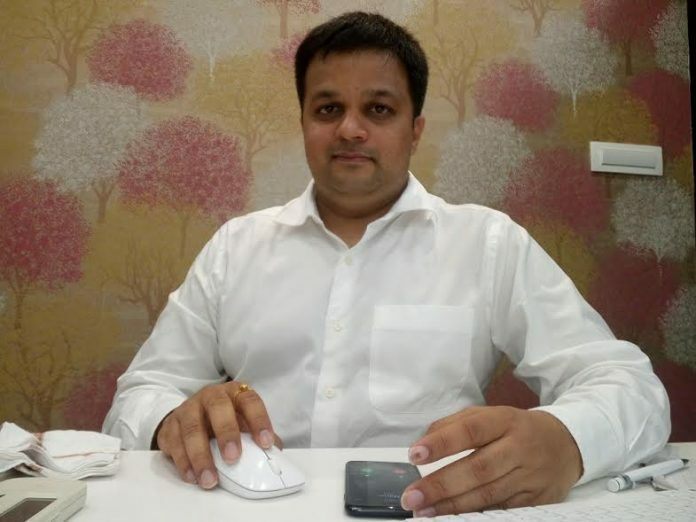 An Interview with Ashutosh Pandit, Founder and CEO of STEM Learning, Mumbai a leader in installation of mini science centres in India, which emerged a leading CSR partner. MUMBAI: It was a warm day. The sun was beating down as city Mumbai went about its daily schedule. In the rush of ideas and ambition, the quintessential feeling of humaneness often takes a -compulsive if not deliberate- backseat. However, there are some who, via sheer grit and compassion, enter into realms which bear fruits for the society we live in. The heat led to warmth and bonhomie as we were greeted by the smiling and confident Ashutosh Pandit at his cozy office, Founder & MD at STEM Learning Pvt Ltd, a leader in installation of mini science centres in India, which emerged a leading CSR partner. ‘Thanks for dropping by’, said the visionary with a humbled stance. ‘The pleasure is all ours’; we retorted smilingly impressed by his demure yet dynamic demeanour. STEM Learning, a leading social enterprise, has emerged as one of the key CSR implementers by establishing more than 650 mini science centers across 15 states and brightened lives of more than 8 lakh students with more than 450 training and 2700 teachers’ training. Tell us about your enterprise and its vision and mission? We, at STEM Learning, are committed to the cause of making learning a simulative and exploratory process, and with our rich resource of subject experts and interaction with brilliant teaching facility, we can help take education to another level. We provide both rural and urban schools, with scientific models which are capable of lighting the scientific drive in young children, through our visual aids and teacher training programs we make sure children are given the right guidance so as to help them gain a bright future. In our country, education is a fundamental right. Education should be holistic and quality focussed. Development of the scientific temper is our fundamental duty. As mentioned earlier, I strongly believe that India can produce quality and talented manpower only when their will be equal and equitable opportunity for science education. Progress of nation and progress of science education is closely linked. Can you enlighten us more about yourself and the inspiration behind setting up the social enterprise? At heart, I am nothing but a simple entrepreneur driven by passion and the hunger to succeed and achieve great heights in life. I have business in the hospitality industry, resorts to be precise, which are successful ventures. Having said that, I always had the desire to give back to the society, that’s when the idea for STEM Learning first gained direction. I started it as a way to help young students get closer to the world of Science & Technology as it is where the future is at. This venture has made me a better human being and I hope it can do the same for society. Do you have your own manufacturing unit for science model? Yes, we produce all our own equipment through our factory in Thane, which gives us the advantage to easily enhance the quality of our equipment or correcting any issues without any wastage of time. Through our own manufacturing unit we have provided over 650 installations with more than 60 models each, and we plan to double our reach in the next financial year. Indeed impressive ! , so according to you science exhibits indeed help students to learn new things in class rooms? Yes, we certainly believe that, because learning through visual aids give the children a visual representation of the working of several scientific principles. Thanks to our incredible built quality and portability of our product, teachers can carry it around with ease. Now tell us how corporate houses can get involved in promotion of science exhibits and science education in schools? Through the process of CSR, our corporates have already shown their dedication to the advancing of education. To garner a better relation with the society they can also setup these channels close to their factories to develop uplift the adjoining community. It’s a noble idea. Science education in India has always been a neglected domain. Your thoughts on the same? Scientific education has always faced challenges like lack of focus, funds and research sentiment. But the most demanding problem is that children are being taught to mug up scientific principles instead of trying to understand, explore and invent. Through a hand-on relation between kids and parents, we can help the cause of science and may be change the way education is perceived and absorbed in our country. What kind of support you see from corporate, Govt. and civil society to reinstate interest of students towards science knowledge? Like I mentioned before, the corporate sector is already ahead in its CSR efforts and has pushed the boundaries of learning to a new horizon. Furthermore, we expect a hand on approach as integral aspect to the direction we take. And when the corporate sector, Govt. and Civil Society come together they can make a genuine difference. Can you tell us something about the ongoing activities at Stem Learning? STEM Learning has tried to enhance the quality of education as one of its fundamental goals which is achieved by diversity of ideas. Firstly, most important is the provision of scientific equipment through the form of Mini Science Centers to rural schools that helps children and teachers connect through the power of visual learning. We also conduct Teacher Training sessions to help teachers’ better use the provided scientific apparatus through new and fascinating techniques that are designed to keep the children engrossed and happy. 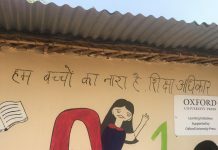 We have wide presence in 15 states and successfully implemented over 650 Mini Science Centers with CSR that have brought quality education to doorstep of school children in rural and urban Maharashtra, Gujarat, Rajasthan, Goa, Karnataka, Delhi, Himachal Pradesh, J&K, Chhattisgarh, Tamil Nadu and many other towns across India. A Science Center includes 60 working models/exhibits that portray the principles of science along with 30 informational colorful backdrops, teachers manual and user manuals. Science Centers have impacted more than 8 lakh students with over 450 training and 2700 teachers’ training. Our exhibits have been approved by MSERT. But my biggest achievement in my opinion is the chance to give back to my community and become part of its progress. Can you tell us about STEM LEARNING’s future plans? The future is bright and radiant especially for education but it can only be that beautiful and brilliant if we put the efforts to improve today, that’s why we plan to reach another 500 schools in this year and through that also involve a few more sectors like the Pharmaceuticals, Banking and Finances, Steel and many more to reach the goals we set to achieve.